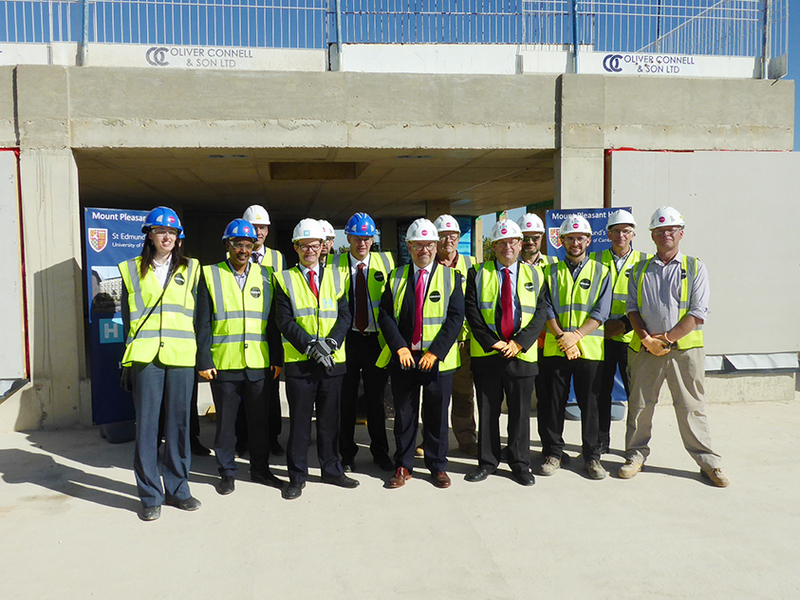 A topping out ceremony took place last month on the roof of St Edmunds College's new Mount Pleasant accommodation building. The master of the St Edmunds College was presented with a ceremonial trowel and laid the final piece of concrete on the roof. In keeping with both English and Nordic traditions, he also placed a piece of yew to placate the spirits of the trees, a piece of lavender, and September English rose buds to 'bless' the building. The project is a joint venture between the Howard Group and Osborne (with rhp as architect and design-team leader) and will provide post-graduate rooms and studio apartments for the College. The project is due for completion in summer 2019.